Failure to turn up for a duty may result in the cancellation of that days sailing. Safety cover - please arrive in plenty of time to check fuel levels and ensure that all equipment is onboard. 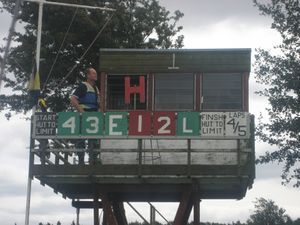 It is suggested that you are on the water 30 minutes prior to sailing starting. 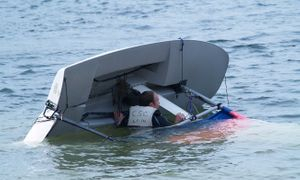 Sailors should not be allowed on the water during organised sessions without safety boat cover being present. Please have two safety boats available, one for you to drive and another hooked up to the pontoon in case a second safety boat is required for a rescue. It is important that this information is written down to enable us to calculate the day's race results as without a name and class of boat a sailor will not be given a race time. 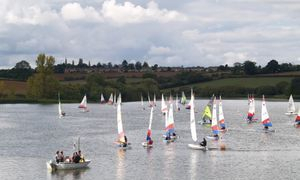 It is your responsibility in consultation with the safety boat driver to cancel a race/sailing session if weather conditions are such that it makes sailing dangerous.